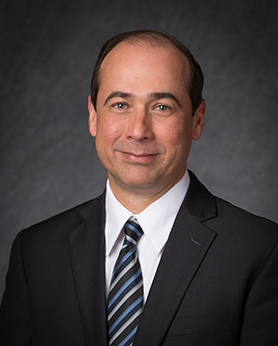 Valeri V. Cordón is a General Authority Seventy of The Church of Jesus Christ of Latter-day Saints. He was sustained on April 2, 2016. At the time of his call he was serving in the Fourth Quorum of the Seventy. He has also served as an Area Seventy, a Seminary teacher, Institute teacher, elders quorum president, high councilor, bishop, stake president, and high priests group leader. He served in the Costa Rica San Jose East Mission presidency from 1998 to 2000 and as a full-time Missionary in the El Salvador Mission. He was born on February 19, 1969, in Guatemala City, Guatemala. He left home at age 15 to be schooled in computer science and received his bachelor’s degree in computer science from Mariano Galvez University in Guatemala and his MBA degree from Massachusetts Institute of Technology. He was an information systems director at Glaxo Smith Kline and then Pepsico Central America Caribbean. He has been a system analyst, customer service manager, support manager, director, director of IT strategy planning and control, among other duties. Cordón and his wife, Glenda, are the parents of three daughters. This page was last edited on 19 October 2016, at 10:17.